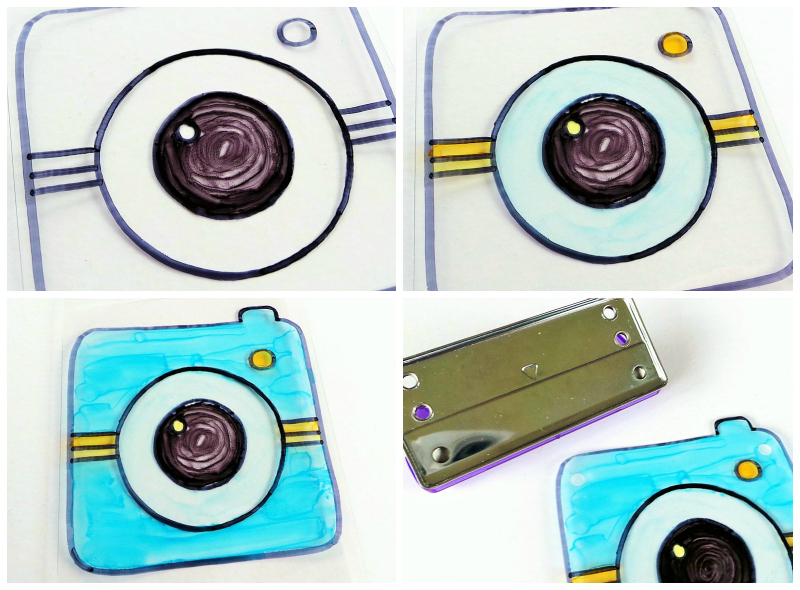 You can also just download it to use as a printable – cutting out the cameras to use on a scrapbook layout or card, etc – if you want to! Step 4: Colour in on THE BACK of the shrink plastic, making sure not to overlap your colours – if you overlap them they will bleed into each other. That’s also why you colour on the back, otherwise you’d make the outline bleed. Colour from the centre outwards. I used a Black Promarker and a Promarker blending pen in the centre, and the Promarker colours Cool Aqua, Cyan, Pumpkin, and Yellow in the other areas. I couldn’t get the cyan-blue area to blend completely, but I decided to embrace the watercolour effect it created! 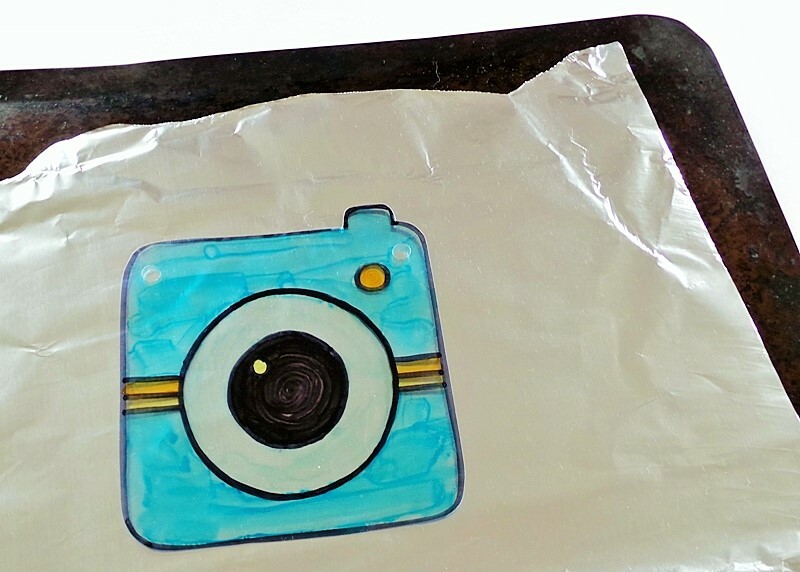 I think you can get frosted shrink plastic which might allow colours to blend better. Because it’s transparent any pattern on your clothing will show through, so make sure it’s complimentary! Would you wear this pendant? I totally want to make earrings to match it now! 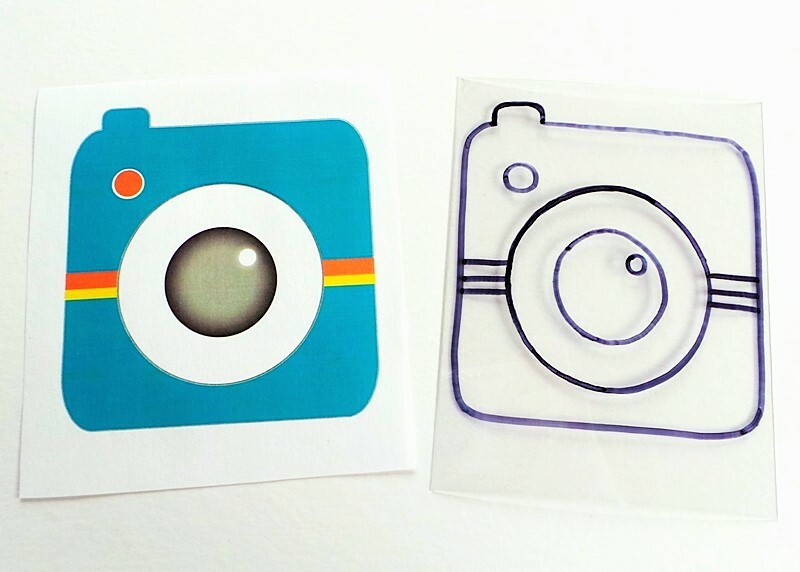 Previous postFocus On Excess Supplies – Sticker Surplus! Next postAn Out-Of-Focus Bokeh Card Background + Process Video! Ooooh very cool. I’ve never done the shrink plastic, but it looks very cool! 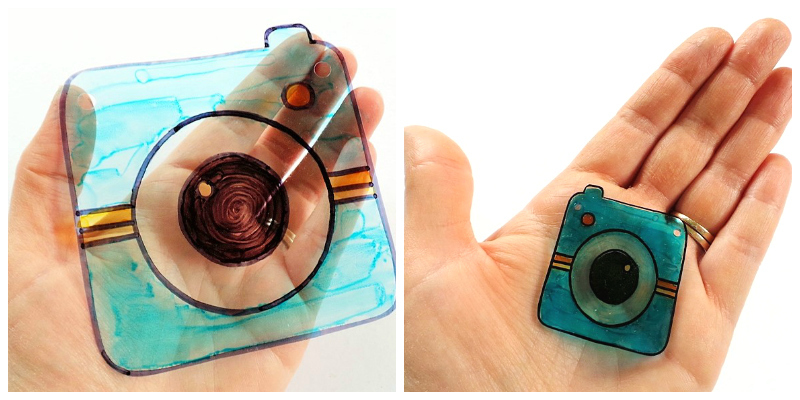 I haven’t done any shrink plastic either – and how cool! Would I wear it – yep! How fun would it be to wear it to a scrappy day or camp! 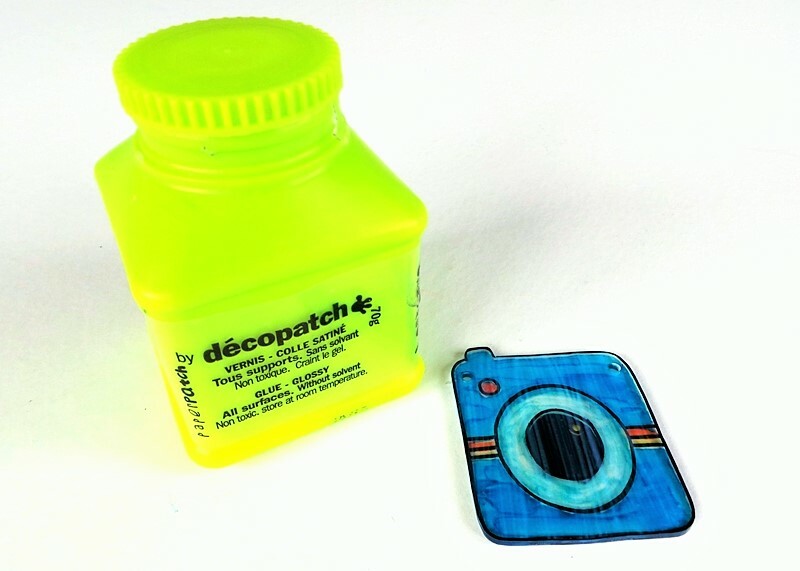 Love the yellow and white top you are wearing – goes will with the little transparent pendant! 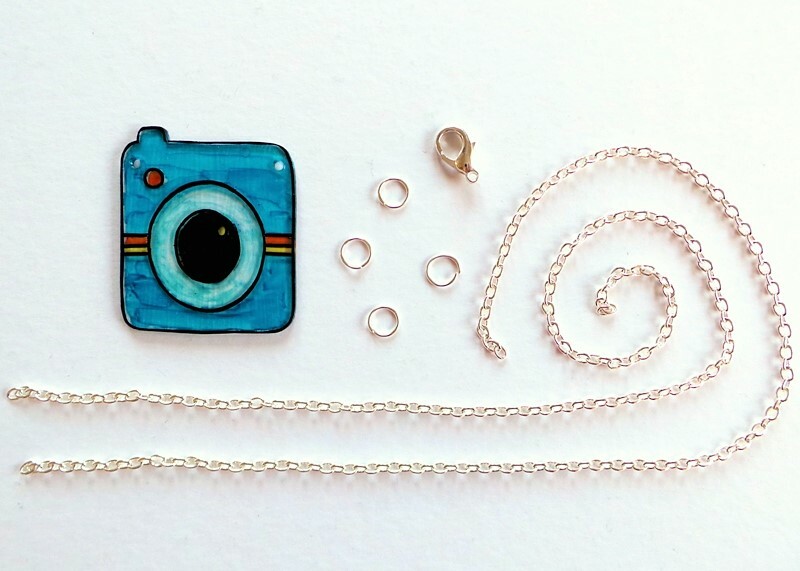 Fun pendant!!! My grandchildren love shrinkies!!!! So great. 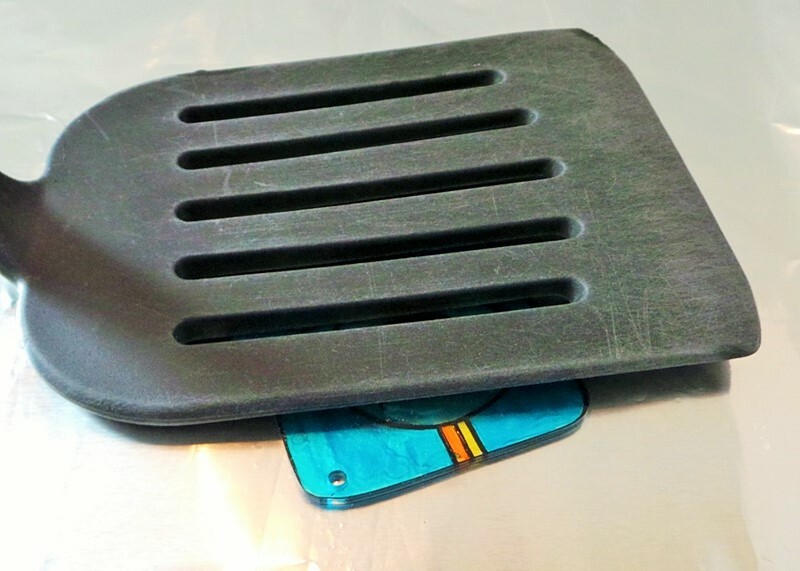 Love the idea but have never worked with this product. Will have to try it some day. 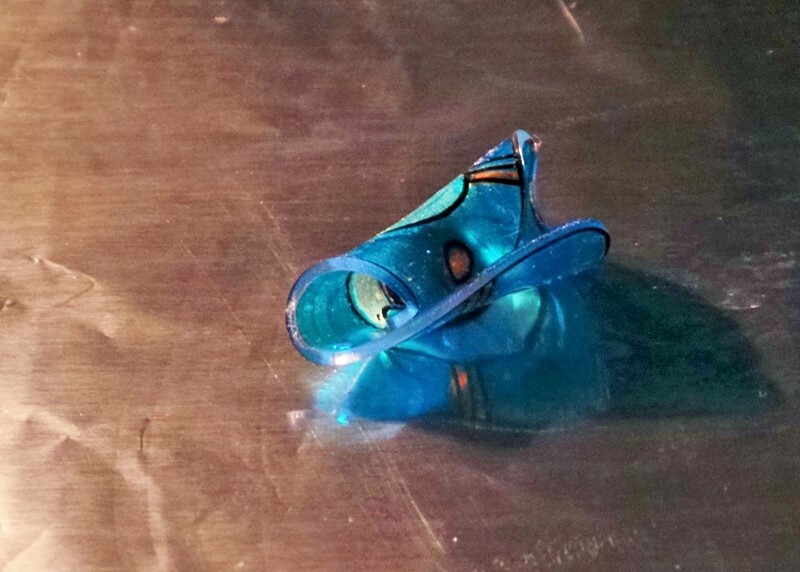 I used to do shrink plastic when my kids were young. Your camera is perfect! 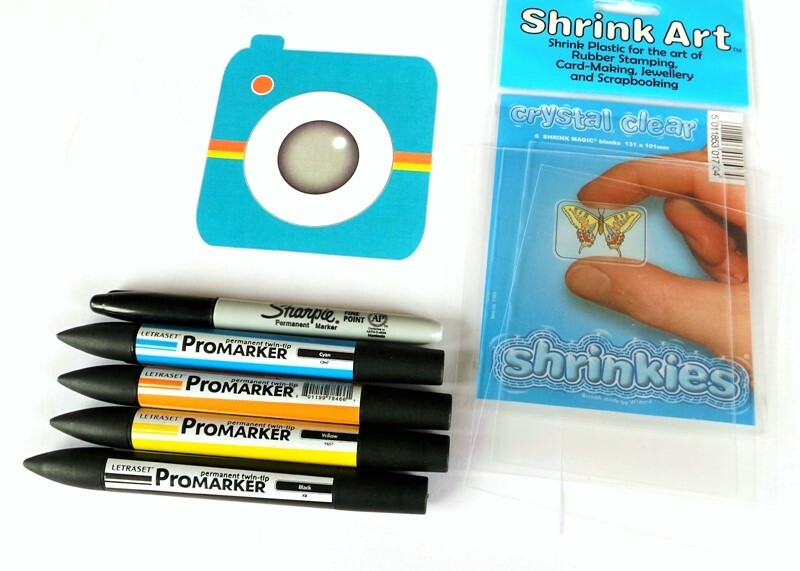 I have never used shrink plastic but I am going to have to give it a try and make me a camera!! Thank you for the idea!!! 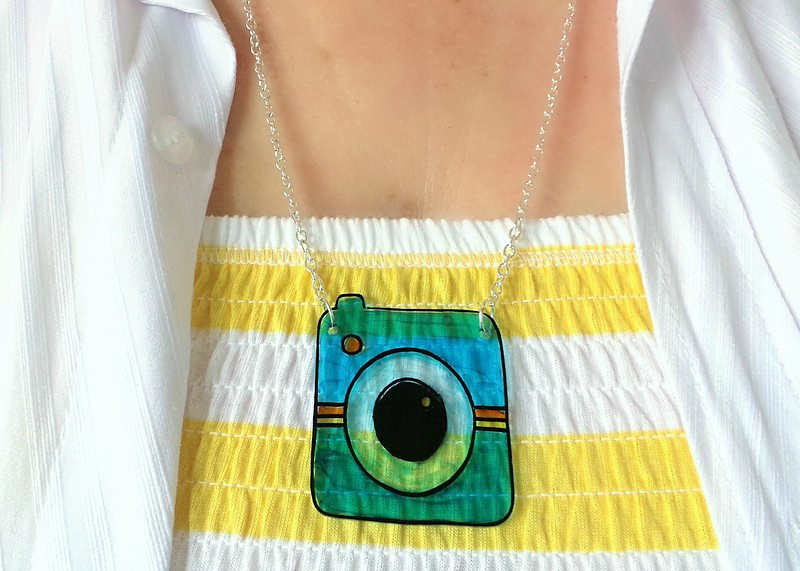 I would definitely wear that – it reminds me of a camera necklace a friend gave me for Christmas a couple of years ago. I haven’t pulled it out in awhile, but think I’ll do so now & wear it some on our upcoming vacation! This is awesome! I love the pendant. 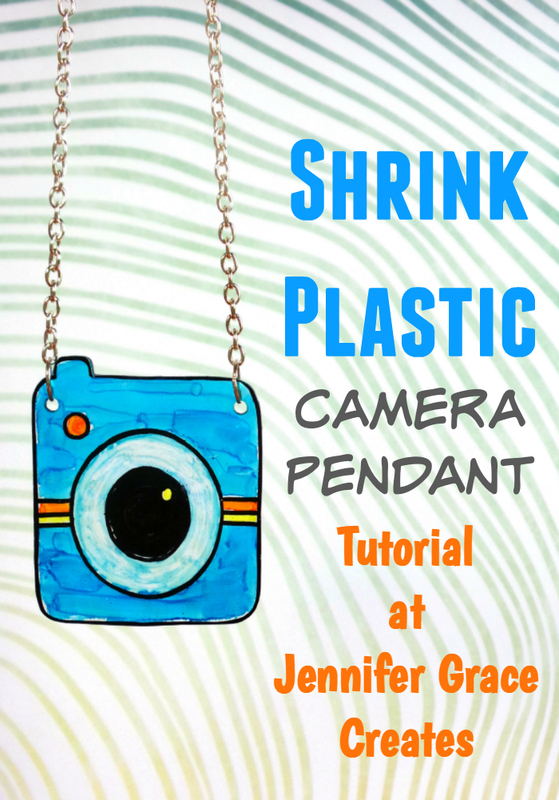 I’ve quite often used shrink plastic….though never to make a piece of jewelry…….lovely idea. I always use a heat gun to shrink mine though. haha, brilliant – this is so you. I can imagine you wearing the earrings. Hehehe….not my style for jewelry, but totally fun!!!! What a cute idea! I think my granddaughter would like this. It’s been some time since I’ve used shrink plastic but every time I do I am reminded of how much fun it is. I haven’t turned any; of it into jewelry but use them as embellishments on cards and other projects. I love how a scribbly colored image becomes so deeply colored and solid once it shrinks! Thanks for the tips and hints.